Haven't you been in a boat and wondered what is in the water beneath? A glass window in your boat bottom will open up a new world of underwater exploration. 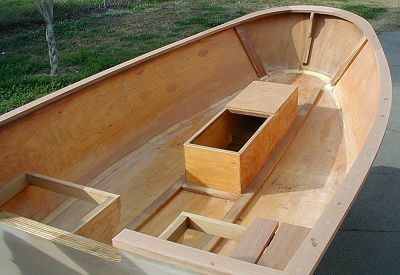 But if you just want a roomy, simple to build, stable craft for fun on the water, the window can be eliminated. GLASS BOTTOM is a BIG little boat. 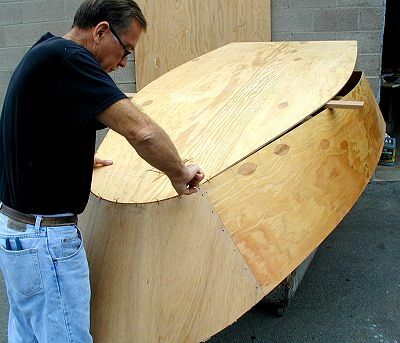 Less than 10' in length but with the rounded bow the available inside space is greatly increased. 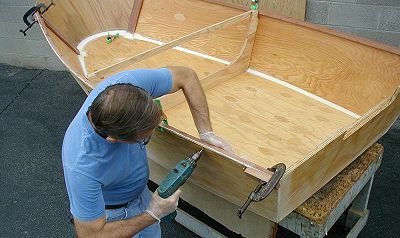 And that rounded bow enhances the appearance and yet is simple to build using stitch and glue building methods. 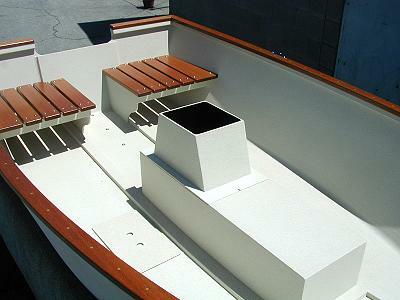 Plus the flat bottom gives a very stable platform for viewing the depths, fishing, or just plain boating enjoyment. The craft is equally adapted to a small outboard motor as well as rowing. 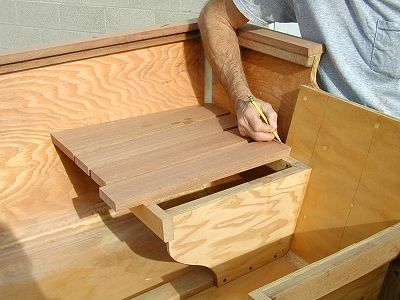 The bench seat has proven to be ideal to allow the person rowing to shift their weight to better balance the boat. The seat also covers the bottom viewing window, with a part of the seat top removable; when inverted it provides a viewer or "canopy" to eliminate reflective light from interfering with a clear view through the glass. 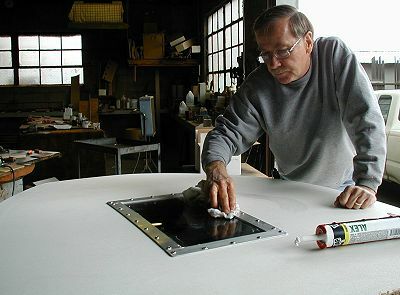 The GLASS BOTTOM is built by the stitch-n-glue building method proven to be the easiest way to build a boat and time required to accomplish the task is far less than conventional methods. And, it's fun to see a boat formed so quickly. 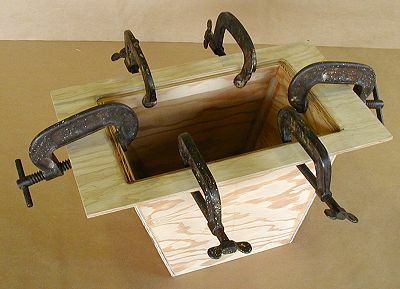 We help you along making building within the realm of most handy people. The instructions take the builder through the construction in step by step fashion. And boating "words" are defined, You are assisted in many ways to make the task understandable, easy and fun. 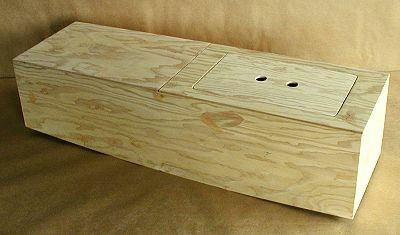 You get a full Bill of Material that describes precisely what type and sizes of lumber and plywood is used. 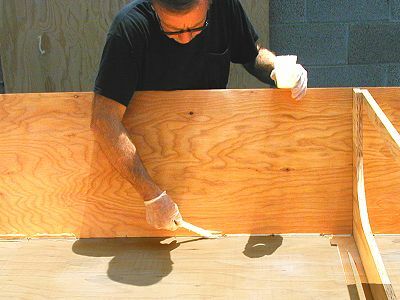 We even provide scaled layouts that illustrate how the plywood is obtained from the stock 4' x 8' panels noted. A Fastening Schedule lists the number, type and size of fastener to use at each joint. 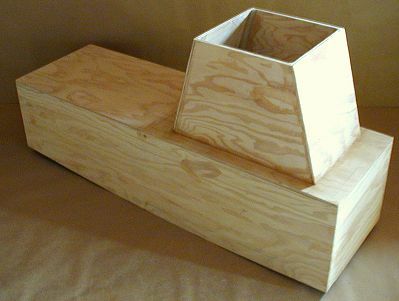 Plus the full size patterns that are part of the Plan and pattern package virtually eliminate guess work and complicated layouts. 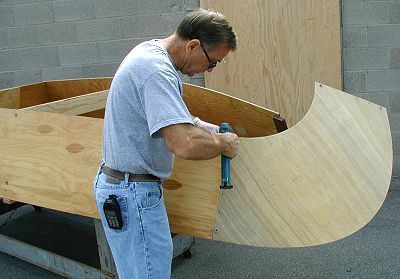 Hull type: Flat bottom, rounded bow garvey style developed for stitch and glue sheet plywood. Power: Outboard motors to 2 hp.